“Evidence” has been selected and manipulated to justify the committee’s demand to ramp-up the UK ruling elite’s anti-Russia campaign. On the pretext of combating fake news from Russia, the report calls for immediate steps to crack down on the democratic rights of individuals and political organisations, censor social media and close down alternative media sources that expose the plans of the imperialist powers. A related purpose of the report is to use allegations of Russian political interference to halt or reverse the Brexit vote. The select committee investigation was launched in January 2017, tasked with investigating “fake news” and centring on accusations of “foreign interference” in the June 2016 referendum on UK membership of the European Union and the June 2017 general election. It was formed in tandem with the Democratic Party’s campaign against the victory of Donald Trump in the US presidential election which has also centred on allegations of Russian interference. 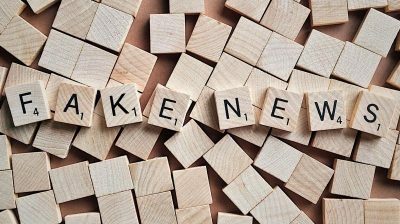 Why the DMCS, consisting of five Conservatives, five Labourites and a Scottish National Party representative would feel it necessary to discard the term “fake news” is clear. These are representatives of a right-wing political and corporate set-up that is universally despised. This same parliament voted to take Britain to war in Iraq based on lies that Saddam Hussein possessed “weapons of mass destruction.” The most infamous “fake news” document of the 21st century, the “dodgy dossier,” was used in 2003 to justify the US/UK led invasion that resulted in over a million deaths. In order words, the “meddling” in British politics since 2015 by Russia consists of paying $463 in Facebook adverts! After stating it has received “disturbing evidence,” of hacking, disinformation and voter suppression in elections since 2010, it notes that some of this remains unpublished. This would be the basis for a dragnet to delete masses of social media content.